The secret life of Walter Mitty…. It would not be true if I were telling you I always run after planes. It also happens I stay at home, having low key week ends. I recently took the opportunity to go to the cinema and one of the movies I watched was The Secret life of Walter MItty, by Ben Stiller. – There was something which reminded me of Love actually somehow: the possibility of a love story despite heroes with life, personality and destiny that were not meant to cross. Before going for a movie, I tend to read about the plot but never the critics. I want to be able to make my own opinion.This proved to be a good idea for The Secret Life of Walter Mitty as the movie got overall average critics and ratings. 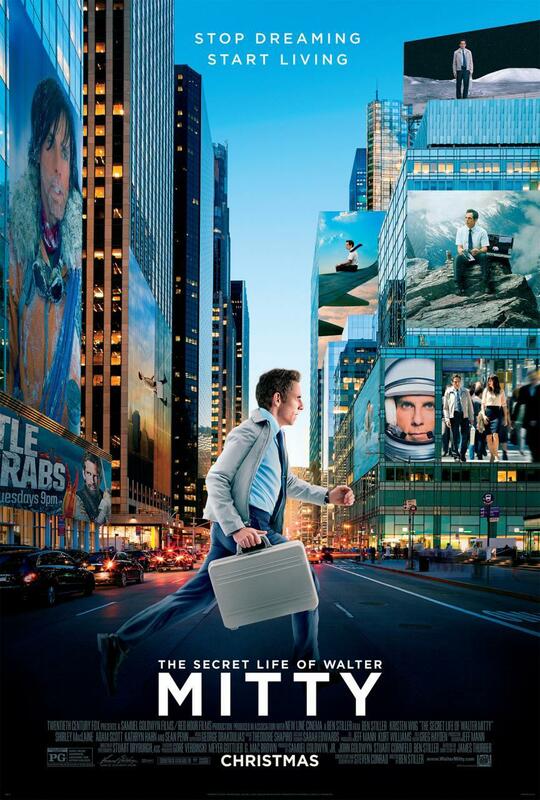 The Secret Life of Walter Mitty is a movie I struggled to opine one. 20 minutes after the movie began, I asked myself whether I liked it or not. Then the alchemy (I guess) or the American “block buster magic powder” made the rest. I was lightly charmed with the plot – mainly because it involves travels. Music and songs were brilliantly picked, making a perfect match between landscapes, scenes, and feelings. I particularly loved Space Oddity by David Bowie and Kristen Wiig. It felt as if someone came through the screen, picked my hand and took me to Walter Mitty’s world. At that point I realized I would start to like the movie. Where the movie can be challenged is about the “too much fantasy” arising in some situations : a bit over the top and simply not possible in real life. Those were the instances where I asked myself If it was a good pick or just a “goofy” movie. Anyway, it was a very nice time and I was pleased when the friend I invited to come with mentioned even a week we saw the movie, that she really liked it. Leaving you with the Space Oddity song….